There are so many dog grooming products out there on the market, all claiming to have some magical ingredient, all claiming to be the next best thing, that I don’t know about you, but sometimes it can be rather overwhelming trying to find the product that’s right for you and your pup. 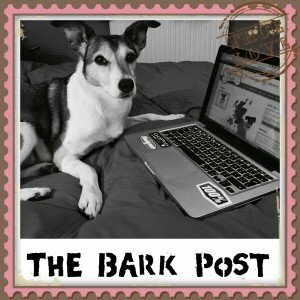 However, since setting up the website, I’ve come across a few brands that I simply couldn’t live without and The Dog and I are now one of them. 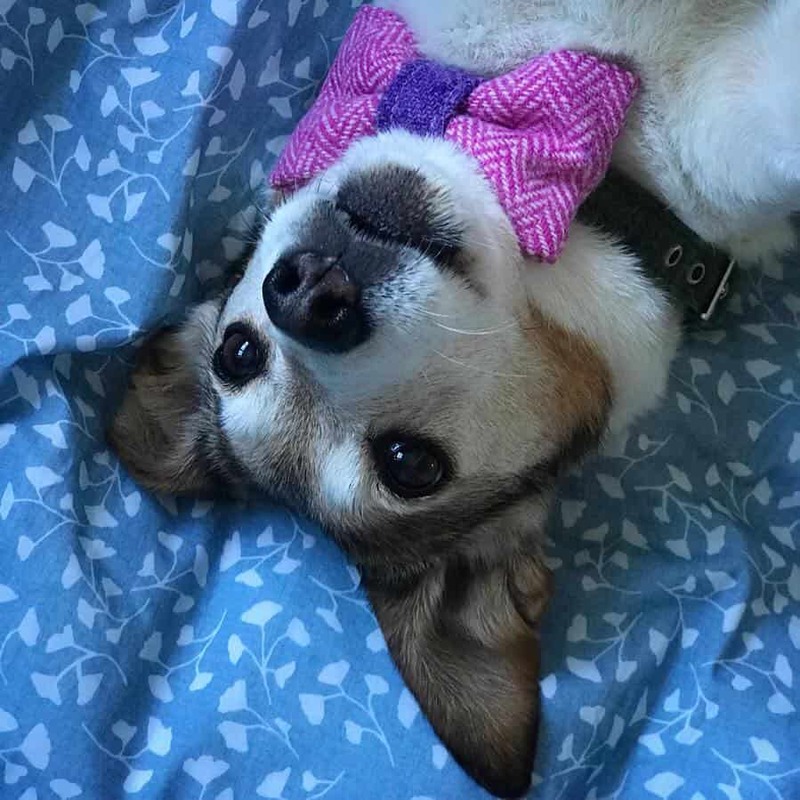 Poppy dog and I love testing out new products and sharing our experiences with you. For me it’s the perfect excuse to try and improve my photography skills, and have a play with my new camera [it’s always so tempting to revert to the trusty iPhone when we’re out on walks, it’s just so quick and easy to snap away. However with product photography I like to put my limited photographic knowledge to the test and indulge my fledgling hobby!] Meanwhile Pops, as you know, loves the camera and never objects to receiving extra attention, pampering or indeed treats, as a form of bribery to get her to pose in the appropriate positions! Relaxing [and posing!] after bath time! 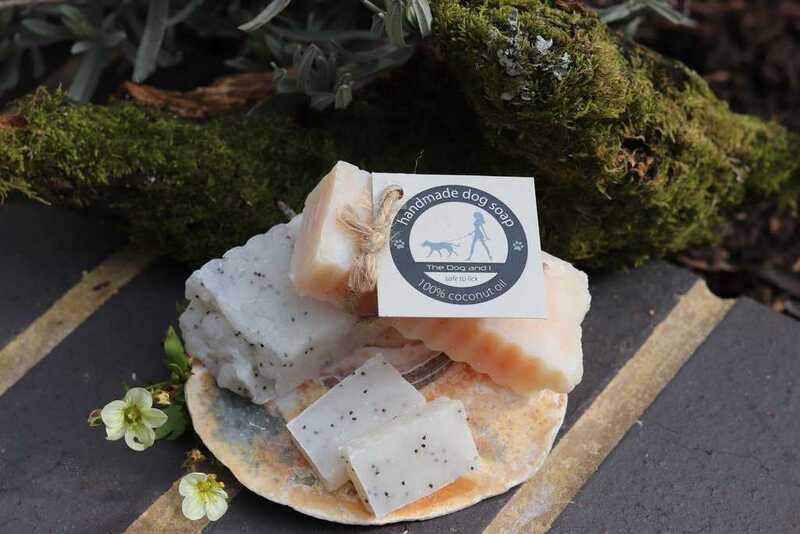 The Dog and I are based in Dorset and make their own range of natural dog grooming products. They’re a brand that I was particularly drawn to as they share very similar values to myself when it comes to their ethics regarding the environment. After all, with Pops and I being litter-picking Womble enthusiasts [you can read our #WombleWednesday blog here], we are always keen to help reduce plastic packaging wherever possible. The Dog and I are very conscious about trying to save our planet and try as much as possible to use minimal packaging for their products. 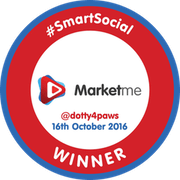 With over 8.5 million dogs in the UK, that’s a lot of shampoo bottles and packaging that we are potentially using unnecessarily. 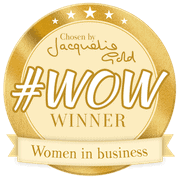 [In fact owner Keri has even written her own blog all about it]. So when The Dog and I approached us, and asked if we would trial their products for them, we were of course delighted. 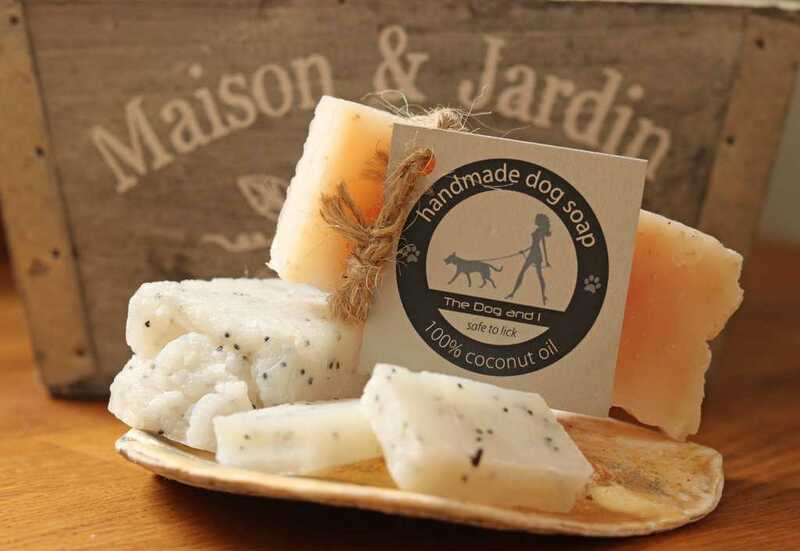 Unlike commercial shampoos that are packed with chemicals and a whole host of unrecognisable [not to be mention often unpronounceable] ingredients, The Dog and I use 100% coconut oil to make their dog soap. Well, because it’s renowned for its cleansing properties and it is incredibly effective when it comes to removing dirt from muddy paws and furry coats! As well as coconut oil they use a few other natural ingredients to add a bit of ‘grip’ to the bar of soap, things like oatmeal or black poppy seeds, just to prevent it being quite so slippery to handle when it’s wet. 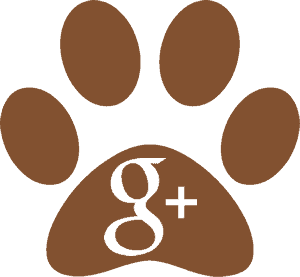 Their soap comes in a range of fragrances, and they also produce a un-perfumed variety too, if that’s your preference. I have to say I rather like Poppy to smell clean though, [bearing in mind she spends more time in the human bed than her humans!] 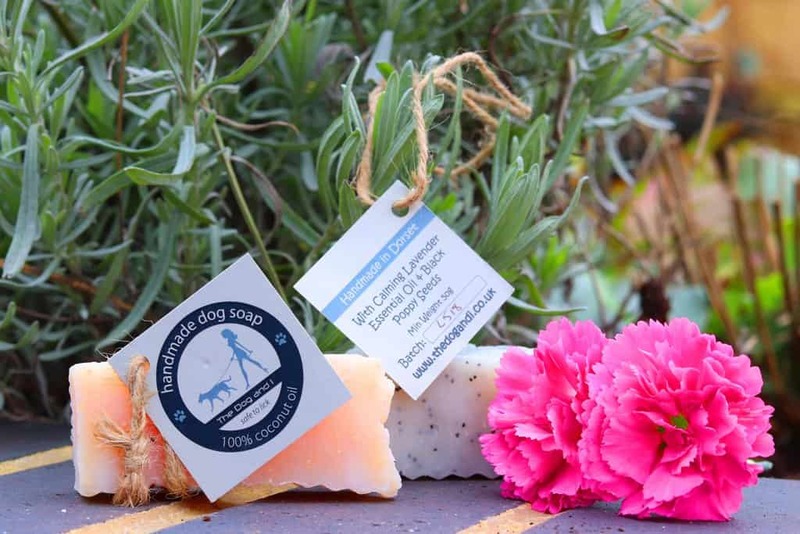 so I love the fact that the soap bars are delicately scented with essential oils – a nice calming Lavender [perfect after a hectic zoomies] or a zingy, refreshing Lemongrass fragrance – nothing too overpowering so suitable for sensitive doggy noses! 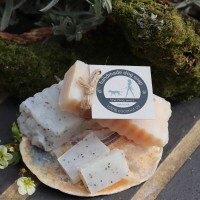 I’m very fortunate that Poppy doesn’t like ‘Eau De Fox,’ but due to the fantastic cleaning capabilities, coupled with the perfumed essential oils, this would be a fabulous product to remove any stinky smells, because you can really scrub away with the soap bar and eradicate any unwanted pungent pongs! Now I won’t lie, it took a while for me to be convinced about using a soap bar as opposed to liquid shampoo. 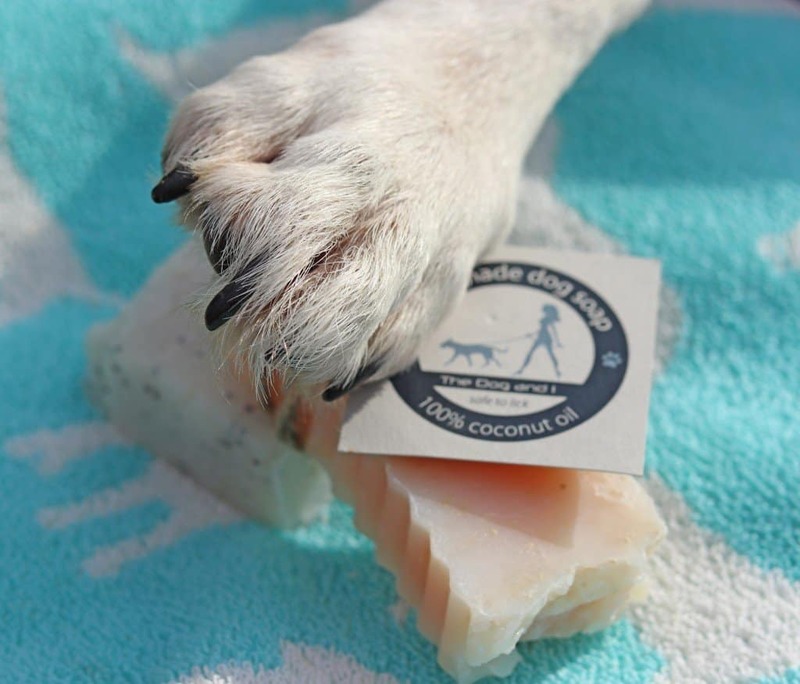 Using soap does require a certain amount of elbow grease, but it makes you really scrub those paws and remove any ground in dirt that gets in between the toes, leaving those paws squeaky clean and smelling fresh too. I’m so paranoid about Alabama Rot that Poppy’s paws are religiously washed after every walk, muddy or not, so having a product that you know cleans well is essential as far as I’m concerned. 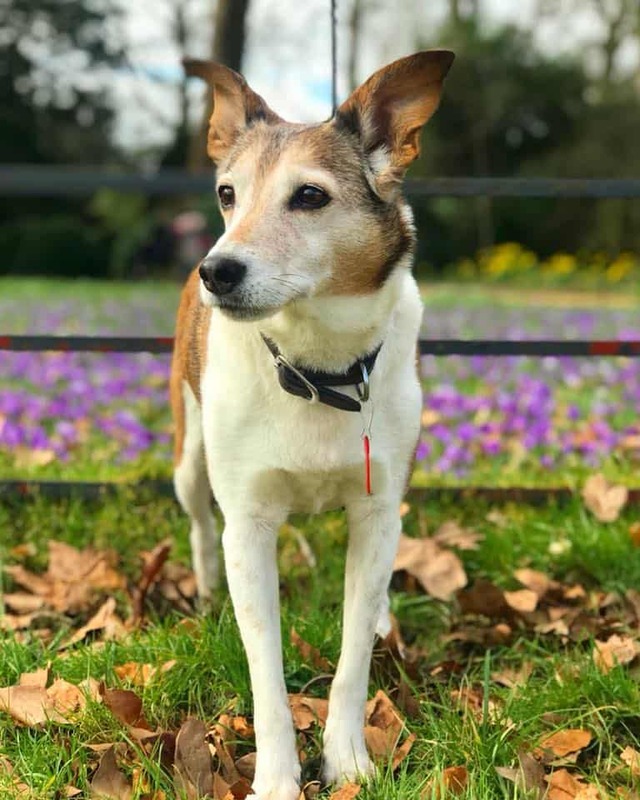 Not only does the soap leave Poppy smelling clean, but what I love most is that it leaves her coat feeling silky soft too – far softer in fact than any other shampoo or soap I’ve tried in the past. 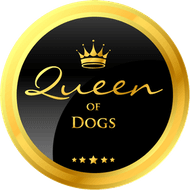 Coupled with the fact that it is so much more economical and lasts so much longer than conventional bottled shampoo, at just £2.50 for a 50gram bar, it’s not only good for dogs but kind on the human purse-strings too! 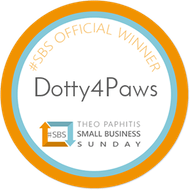 I tend to cut off a small slice of the soap before using it [as above], it just means that I can hold the soap in the palm of my hand and work it into a good lather over Poppy’s fur and paws – a small slice normally lasts a day and is plenty for her two daily baths. 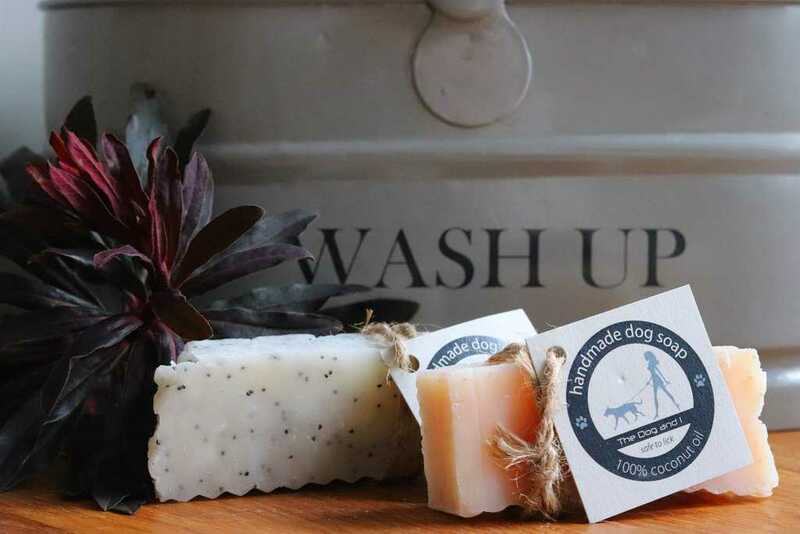 Dog soap isn’t practical for all dog breeds, some long haired, bigger breeds may find liquid shampoo more suitable, but The Dog and I have a range of liquid shampoos and detangling conditioners too, all at a very reasonable price I may add. A Winter of snowy, icy and frosty conditions is enough to test even the toughest of paws! Just like our own hands, paw pads can become chapped in the cold weather and this can often lead to sore and painful cracks occurring. 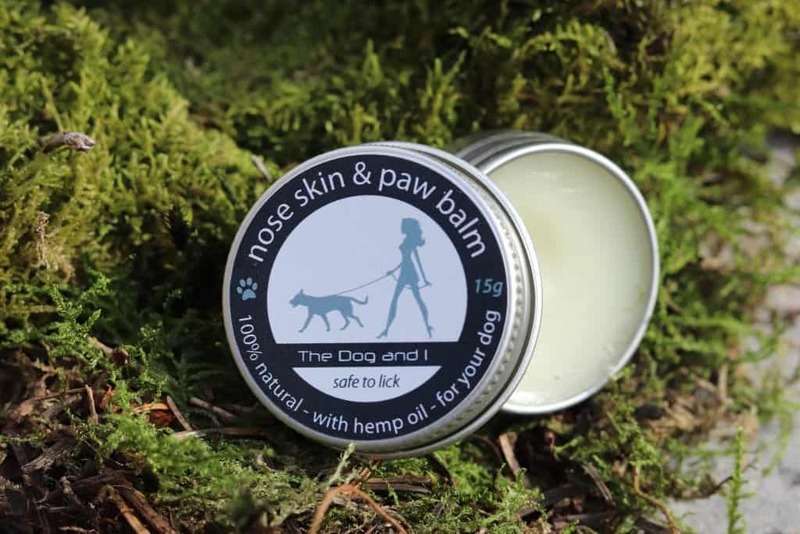 Infused with soothing essential oils, The Dog and I’s Nose Skin and Paw Balm [£3.50 for a 15gram tin] is perfect for treating dry noses and cracked paw pads. In fact, it can be used to soothe any areas that need a little bit of TLC such as callouses or dry skin, and what’s more, because it’s made entirely from natural ingredients, it’s safe to lick too as there are no nasties in it. Last but not least, I’m going to share with you the pièce de résistance, the absolute essential that every dog owner should carry in their doggy first aid kit at all times, Soothing Skin Salve [£3.50 for a 15gram tin] [aka a little tin of magic!] This herbal infused balm is made using a concoction of herbs renowned for their skin healing properties. Calendula, which is an anti inflammatory, Plantain and Comfrey used to promote healing, Yarrow which heals wounds, and Rosemary which, among other things, is a great antiseptic. 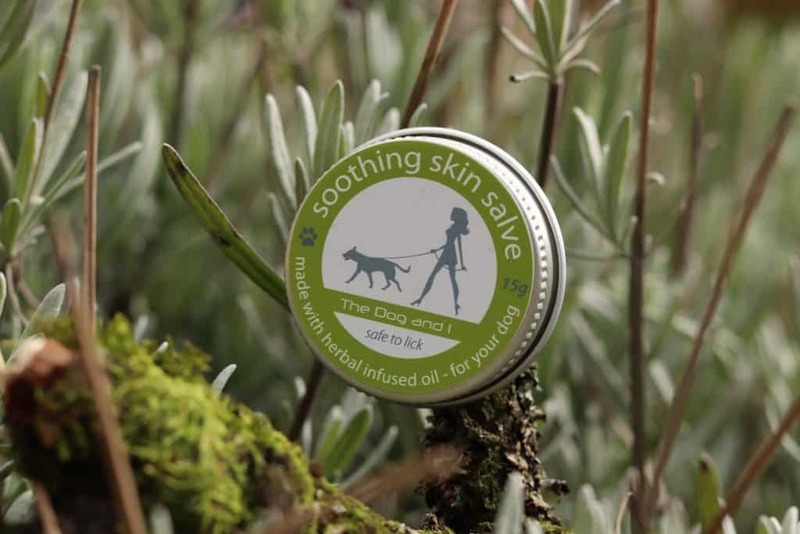 This Skin Salve is just perfect for treating minor cuts, grazes, insect bites and stings, it cleared up a little cut in between Poppy’s toes in a matter of days and is also incredibly easy to apply compared to creams which can be messy, not to mention leave greasy marks on furniture and bedding. Just like with all their products, it is 100% natural and therefore not harmful for inquisitive little tongues eager to clean away any residue, and not only that it smells divine too! 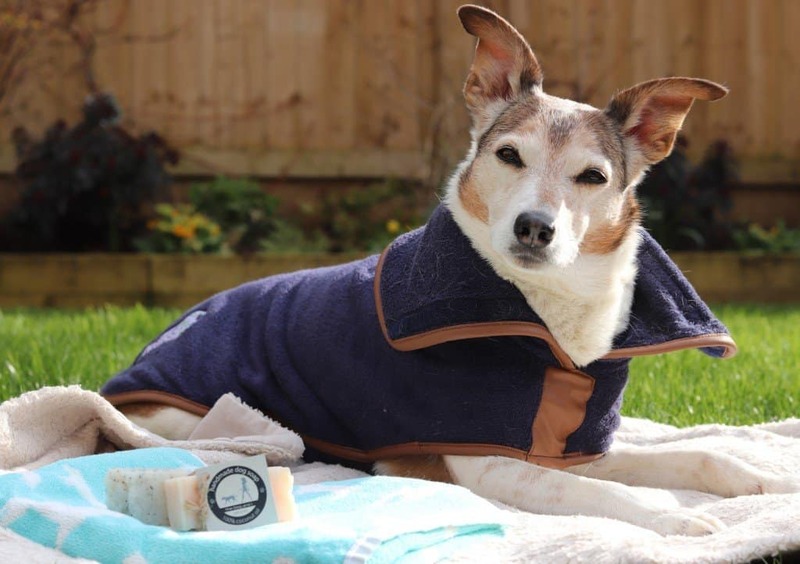 A huge thank you to Keri from The Dog and I for sending us some of your fantastic products to try, as far as we’re concerned they’ve they become ‘must have’ items in Poppy’s pawdrobe! 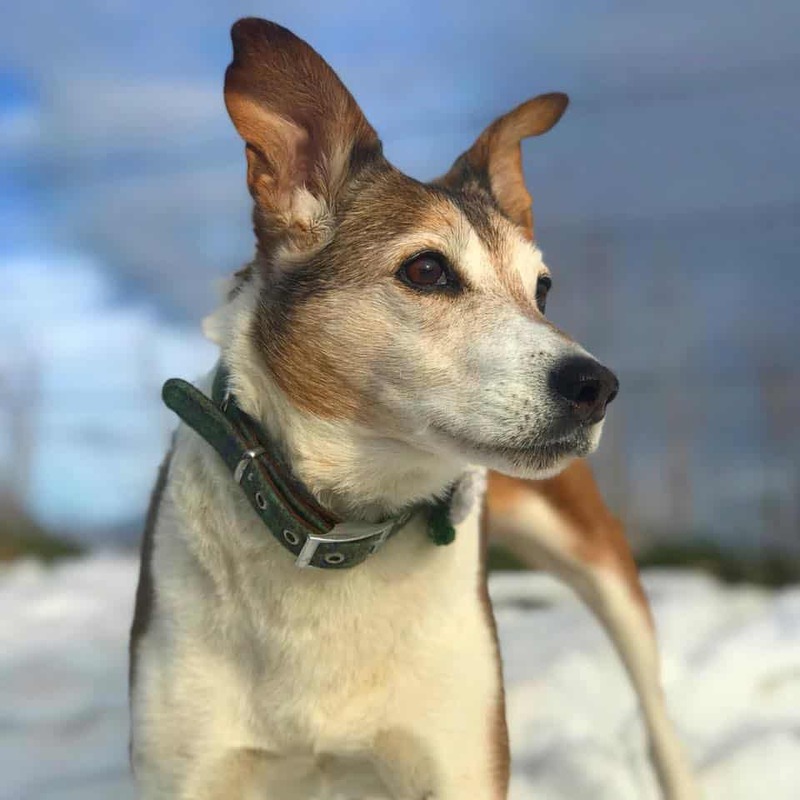 The Dog and I also sell gift cards, so if you’re looking for a present for a dog-lover in your life, a gift card for their beautifully presented products would be just pawfect!